Continuing our offering of top tier products we have added the Caterpillar 308 E CR SB to our quality excavator line up. 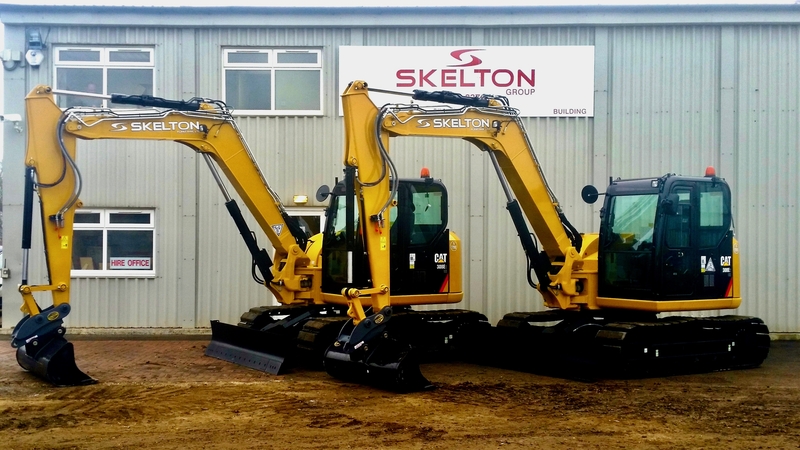 In the 27 year history of Skelton Plant Hire Ltd it is the first time we have purchased CAT excavators and after an initial investment of two machines that were put through their paces in 2017 we are now adding an additional 8 units to complement our mixed fleet in this 8-10 tonne weight category. Simply being the World Number One producer of construction equipment doesn’t give Caterpillar rise for complacency though, this high quality piece of kit has been future proofed to meet our ever growing demands and specification. We have fitted a combination of steel and rubber tracks which we feel is a winning combo! Firstly, the rubber inserts are sympathetic on paved surfaces to minimise damage on the ground, and secondly, the steel tracks improve the durability of the track itself which gives us a tighter control on the total cost of ownership which in turn converts down to a competitive and great value hire rate for our clients. The all important operator station is equipped with the usual comforts such as an ergonomic cab with air suspended and heated seat and climate control. Caterpillar’s Vision Link telematics keep the machine ‘safe and sound’ and alert us of any faults or service requirements remotely to maximise uptime and consequently productivity. As with all our incoming equipment green seatbelt warning beacons are fitted and Stereo radio/CD players. 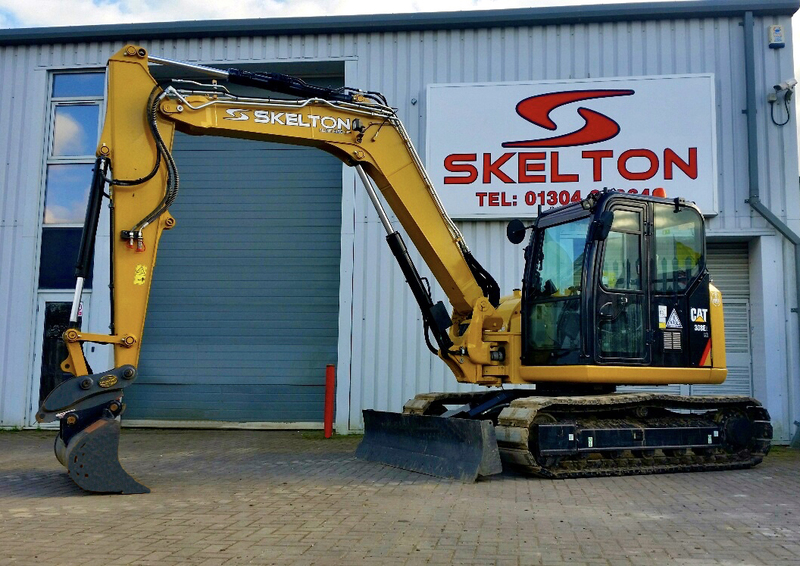 A fully hydraulic quick hitch that is capable of connecting to a myriad of buckets and attachments which in combination with the dual double acting auxillary hydraulic services makes for a particularly versatile piece of machinery. If you want a fuel efficient, productive and environmentally friendly machine with a low carbon paw print on your site, give our team a call on 01304 840640. Please visit www.skelton.co.uk for more information and specifications.